Belgrade is emerging from the dark days of the 1990s with energy and vigour. While it may not be the most beautiful of European capitals it certainly has its fair share of historic and architectural treasures. For some visitors Belgrade's mash up of graceful Habsburg masterpieces and socialist concrete blocks sets the backdrop for the phoenix dynamism of the city today, while some are just here to party. Whatever you are looking for there's every chance you'll find it on a Belgrade city break and the best places to stay in Belgrade range from cheap hostels to luxury designer pads. Around the Danube and Sava rivers are the charming Art Nouveau buildings leading into the pedestrianised centre of town. Other areas have more modern buildings.The mish mash of architecture here is a legacy from the forty times this city has been invaded firstly by the Ottomans in 1521 up to the troubles of the end of the last century. Belgrade's old town is lined on two sides by the rivers and at the very centre, just before the rivers join, is the Belgrade Fortress. The Kalemegdan Citadel has been fought over and won many times since being founded by the Romans. See the Sveti Marko Church and the colossal dome of the Orthodox Temple of St. Sava, one of the world's most beautiful unfinished churches - building began in 1935 but has been interrupted by war and politics almost ever since. Take coffee with 'the princess' at the Palace of Princess Ljubica. Skadarska is a neighbourhood worth visiting. Often called Belgrade's Montmatre, this is where the artists and poets congregated in the early 20th Century. It has a lot of bohemian charm and some good cafes and galleries. If you're exploring beyond the centre of town it's worth trying the tram or trolleybus system - easy to navigate and a good way to feel part of the city. Another way to taste the real Belgrade is to try the local specialities - available in any direction you care to stroll. Bureks or pljeskavica might be difficult to ask for, but worth the twist of your tongue. If you want to try the local brew ask for Jelem and the national spirit is rakija. This comes in a variety of flavours and is drunk as an aperitif, a digestif or chaser. Belgrade's nightlife continues from bar to restaurant to pub and onto the river itself. Club barges blast out music until dawn for those who have the energy. If you prefer to be home before midnight there are plenty of excellent bars and cafes to enjoy 'an evening out on the town'. Some of the best places to stay in Belgrade are ideal for unlocking the lively nightscene. Square Nine is the epitome of modern Belgrade. It has a statement facade, luxury linen, cashmere throws, products by Hermes, sleek spa and slightly hipster ambience. Certainly one of the best places to stay in Belgrade if you're looking for urban chic! 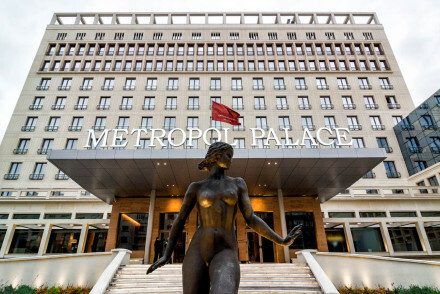 The Metropol Palace is a more traditional five star option and has been open and closed several times since the original opening in 1957. Surprisingly sleek and contemporary. Townhouse 27 is a stylish modern hotel in the heart of Belgrade. 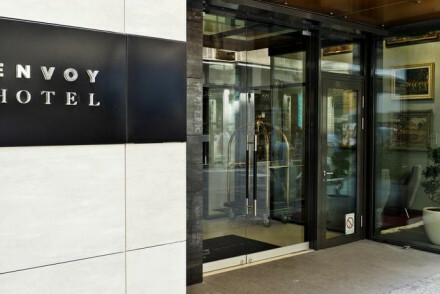 Featuring classy rooms, an atmospheric restaurant and in a prime location, it is ideal for a weekend in the city. Combining a chic aesthetic with an enviable location on Cika Ljubina Street, the Envoy Hotel is an excellent choice for a city break. Awash with luxury the hotel boasts stylish suites and a superb locally sourced restaurant. 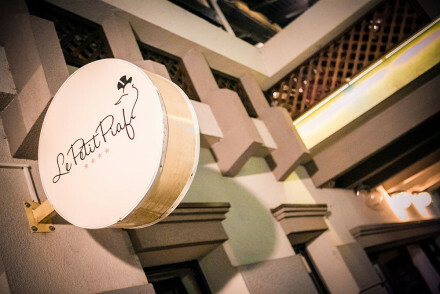 Found in Belgrade's trendy, artisitc district Skadarlija, Le Petit Piaf is perfect for those looking for a good low-cost option. With sharp modern rooms and a great location, it is an ideal launchpad for a weekend in the Serbian capital. Floating on the Danube, this chic barge hotel epitomises modern Belgrade. Boatel Charlie is moored at a quiet spot on the river. Perfect to retreat to after a day of exploring or a night on the tiles. For those looking for additional privacy, we recommend visiting our online partner Booking.com. For those flying to Belgrade, the best option is Airport Nikola Telsa Belgrade. Driving in Belgrade is not for the faint-hearted but those interested in car hire should visit our partners Rentalcars. The best time to visit Belgrade is from June to September with average temperatures ranging from 19 to 23 degrees. Browse through our list of all the best places to stay in Belgrade. Charming hotel in bohemian Skadarlija, Belgrade. 18 rooms with all the mod cons provide a welcome pitstop from Belgrade's nearby attractions. Two buzzy restaurants and a conference room. Ideal for business or pleasure. Sights nearby - The hotel is close to the confluence of the Sava and the Danube and all the attractions on it. Set on the Danube beneath shady trees. A chic barge with contemporary interiors. Simple white on white rooms with river views and modern bathrooms. A wrap-around terrace and lounge to sit and unwind. Just 20 minutes from the city centre and very reasonably priced. City style. 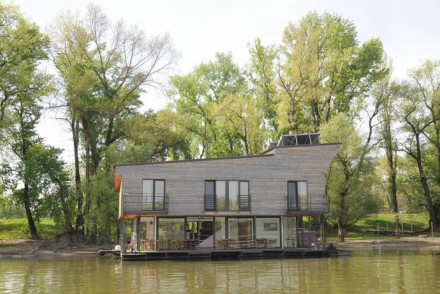 Value chic - An unusual property set in a stunning location on the Danube with rooms at very reasonable rates. Sights nearby - Make a trip to the Republic Square. Sleek boutique hotel in central Belgrade. 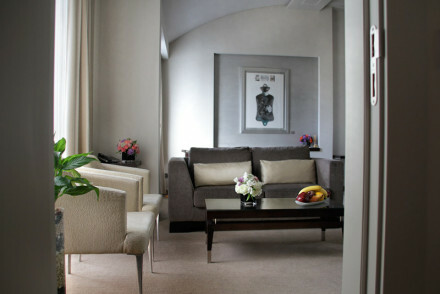 21 rooms combine style and comfort in a quiet surrounding. Lively restaurant and cafe perfect for people watching. Sumptuous and modern. A sophisticated spot for a city break. A trendy hotel located on the famed Čika Ljubina street. Smart rooms and suites with exposed brick walls and a mix of antique and contemporary furniture. Gourmet cuisine served in the restaurant with a menu focused on local produce. Excellent conference facilities. A chic option. Local exploring - Situated in the pedestrianised area of Belgrade and within easy access of most of the major sights and shopping areas. Sights nearby - Located on the historic and iconic Čika Ljubina street and just 200m from Republic Square. 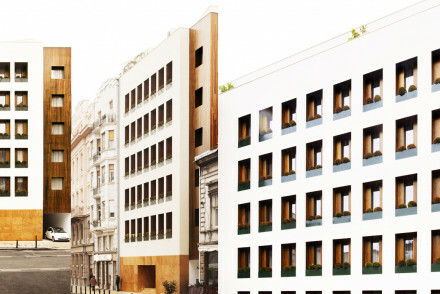 Behind the statement-making facade of this Belgrade Hotel is understated urban chic. Architect Isay Weinfield combines dynamic design with dollops of luxury, linen wallpaper, cashmere throws and Hermes products. Sleek spa and clubby ambiance make it perfect for romance or business. Sights nearby - Located in the heart of Belgrade's Old Town a stone's throw from some major sights. Five star hotel in the heart of Belgrade next to the Tasmajdan Park, and the Serbian National Parliament. First opened in 1957 and then remodelled and reopened in 2012 after a sleek and contemporary makeover. Luxurious suites, smart cocktail bar, roof top restaurant, ideal for business or pleasure.